Looking for a special gift for the dog lover in your life? 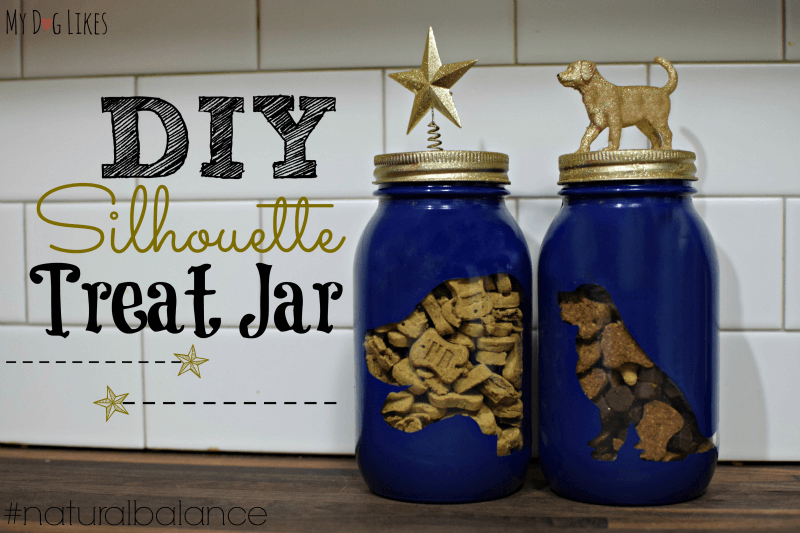 How about making something homemade like this DIY dog treat jar? 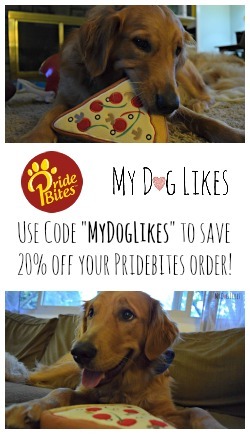 Something to fill the heart AND the belly of a pup that you love! We love giving our boys treats – especially Charlie who is always working on behaviors like having a calm body. We try to reward him when he’s doing what is expected and that means always having treats on hand. Unfortunately, bags of treats littered throughout the house are not exactly our style of home decor! Not to mention they are quite susceptible to a break in by the Cat Ninjas in the house! 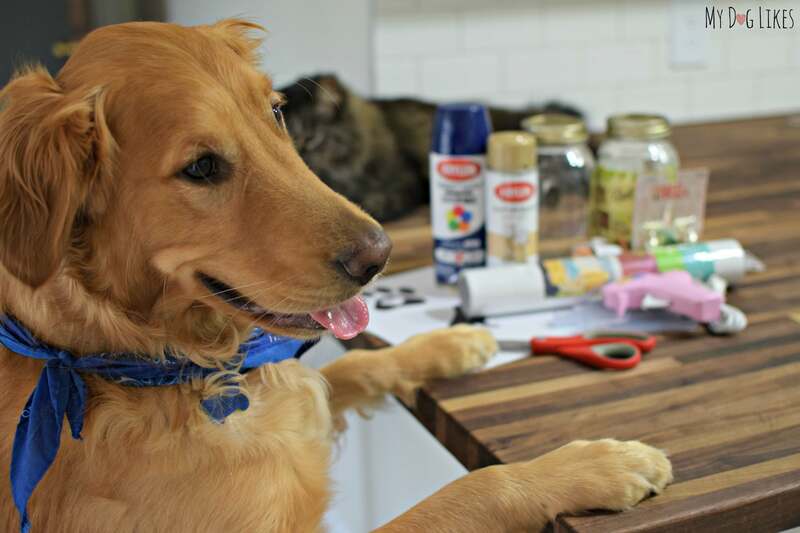 Creating your own, custom dog treat jar is the perfect solution to this dilemma – and we think it looks quite a bit better than keeping a bag of treats on the counter, don’t you?! This project is simple to do and doesn’t take much time to complete. Best of all, it can be personalized to match the decor and personality of your recipient! Want to know how its done? Let’s get started. The first step in successful crafting is to make sure you have an adorable furry assistant to oversee the project: Check! Tasty TREATS to fill your jar with! First things first, select the images that you would like to have on your jar. I simply googled “golden retriever silhouette” etc. until a found a few that I liked. 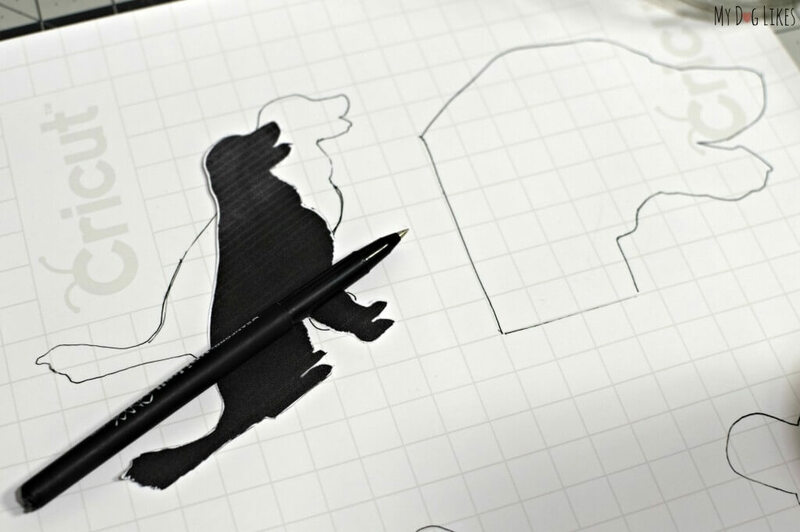 Print these images on plain paper and cut them out. Trace these pictures onto your vinyl adhesive roll. Cut them out when done. Make sure that your jar is clean and free of residue/body oils (if not wipe it down) and place the stickers on the jar as you desire. Alternately, if you are using premade stickers or are really fancy and have a Cricket or Silhouette Machine, you can skip right to this step. Be sure that the stickers are pressed down hard, paying close attention to the edges, so that no paint can drip through where you don’t want it. 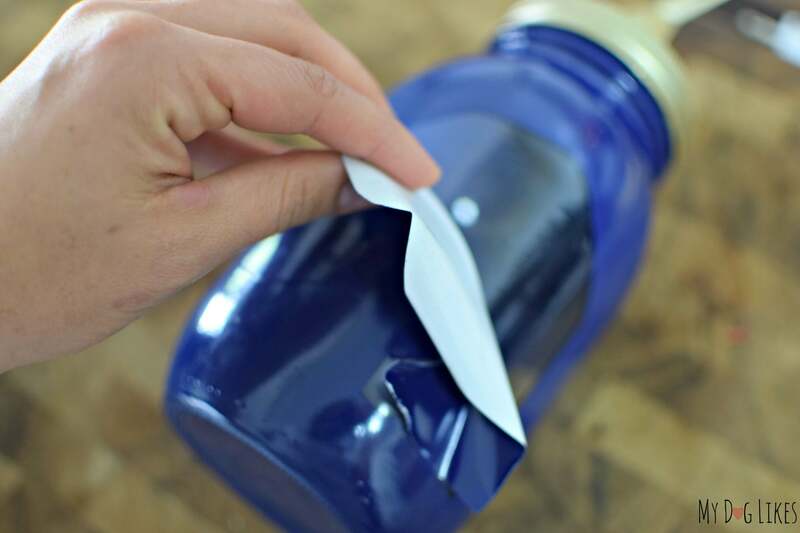 When your stickers have been placed, wipe down the jar once again to remove any debris or residue that may impact the paint sticking to the jar. 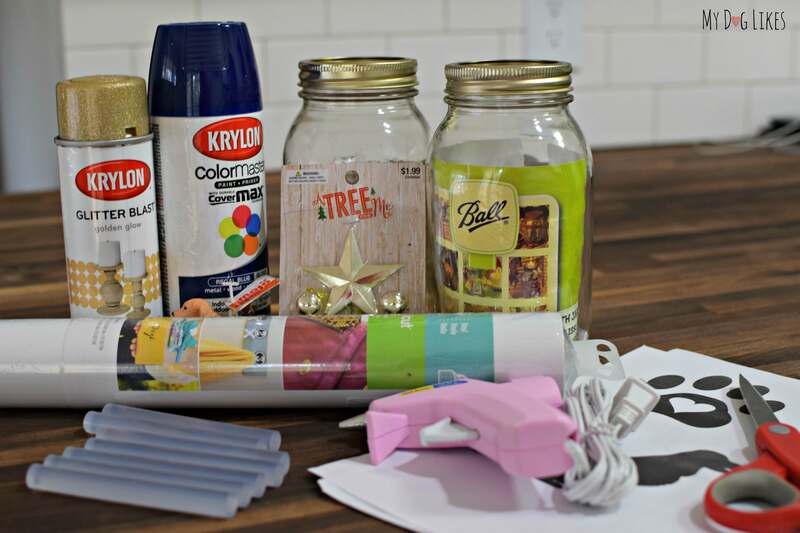 In a well ventilated area (outdoors), place the jars upside down on a piece of cardboard, wood, or something else you don’t mind getting paint on. Apply a thin, even coat of spray paint. Let dry, and repeat as needed to ensure that all areas have been covered. (You will spray right over the stickers). Allow to dry for several hours after painting. When the jars are completely dry, carefully peel off the stickers. If you have nails, typically this is enough to get the stickers off, but tweezers or the end of a knife will work just as well. Remove slowly to avoid any accidental paint removal. Between coats, work on the lid. Select the figurine that you would like to use and attach it to the lid/lid disk (if using a mason jar) using a strong adhesive. Allow it to dry. Coat the lid with spray paint, following the same procedures of thin, even coats until you have achieved full coverage. Allow to dry for several hours afterward. Assemble your jar and admire the great gift you have created for some pups that you love! Now for the Fun Part…Filling the Jar with your Favorite Treats! Need some recommendations? Check out our favorite single ingredient treats! Think we have their attention? Please let us know if you give this DIY project a try and how they turn out! These are great! I have 2 dogs who would love these! I also give Christmas presents to the dogs in my life, and I know they would like them too! Great idea! Great Giveaway! Thanks for the opportunity! Well then best of luck to you! Sounds like you have lots of dogs and dog lovers these would be a good fit for! Awesome treat jars Kevin!! They came out great! The girls are very pleased with ours too…as long as I keep it stocked with @naturalbalance treats. Ha! Yes for sure! Jeanne do you think Kevin really made these jars?! 🙂 It was Charlie all the way! Ok how super cute is that? Loving these!!! Awesome! Thanks 🙂 I know if we had a blogger gift exchange this would be a good one! Wow, you boys went all out! I made some really cute jars, but they were super simple, like 5 mins. to make. I like yours and I, of course, love the treats they are filled with! Nice post! Of course everyone of my gang would love this jar as they love treat and to have a nummy treat in a cool jar is the bomb! Great project, love it, pinned it! We have two small female dogs. Pepper is a salt & pepper miniature schnauzer and Mitzi is a black & tan dorkie (dachshund/yorkie designer hybrid). 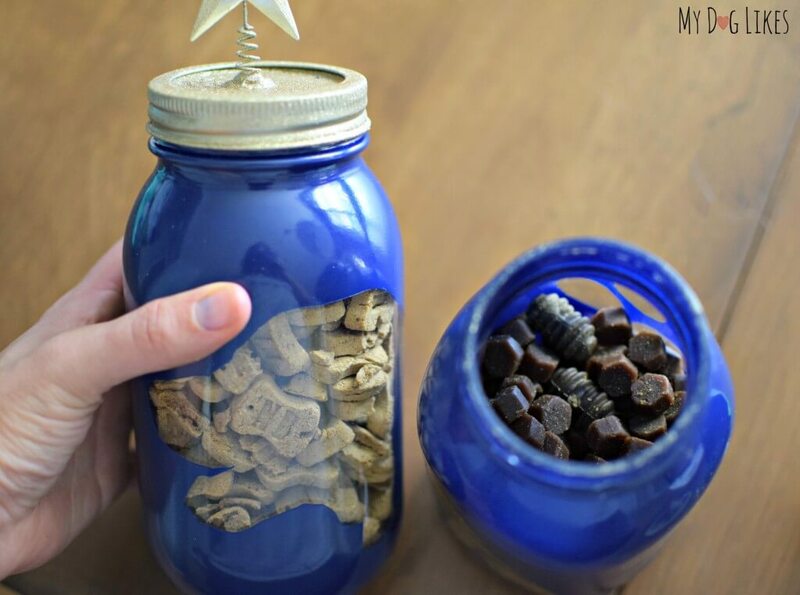 They would both jump up and down for this homemade Dog Treat Jar. Oh these are so cute! Your spray paint job came out really nice. And I love the decorations on top! OMD! 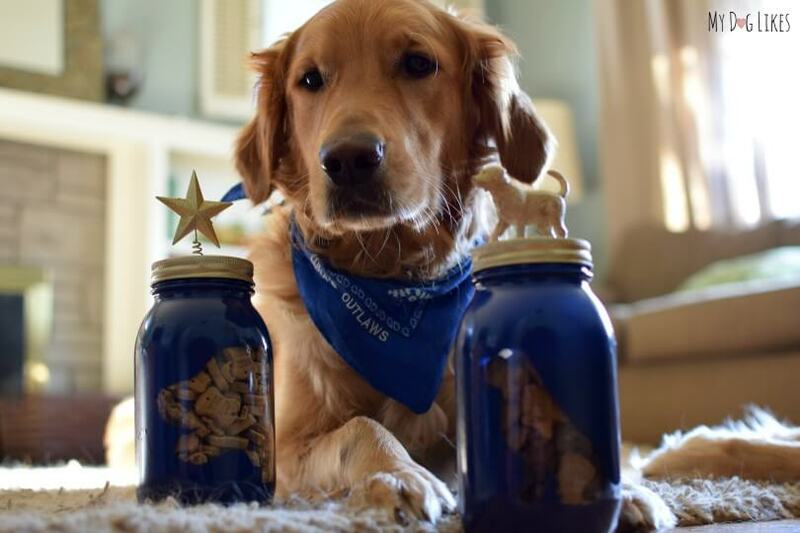 These treats jars are adorable, the goldens would LOVE them!! Great job, guys!! Great Great job on the pretty dog jars. Please~my dogs would love to have these. i have 3 girls in my life that would love to star at a treat jar. they know where i hid them now and with the treat jar they will just star at it til i give them one. i have 3 mini schnauzer girls, Evie, 14, Tressa 6 and Harley 5….dark salt and pepper and the 2 younger are black and silver and 1st cousins. That’s darling! I love to get crafty for the holidays. And my two wee dogs would love a few treats, too! We adopted a wonderful dog this past summer, a Dingo named Joey. I know he would love a treat jar full of goodies. This project is the cutest thing ever! All my pet-loving friends would love this. Personally, I have three small very food-motivated dogs here that would love that! My eight pound dog thinks he can eat eight pounds of treats. my year old lemon beagle mix, Patchy, would enjoy these treats for training time. I have a large doggie family. I also have lots of good friends with doggies this would be fun to make for. I have three dogs (Border Collie, German Shepherd an Shih Tzu) My German Shepherd is allergic to poultry (turkey, duck, chicken) and eggs so his treats have to be kept separate. This would be a great way to keep his treats separate and easy to access (they will look great on the cupboard for easy access, other than the plastic tote I have now). I really love how these look and would be honored to win. My boyfriend’s new daschund puppy would love treats! My brocky would love this! Nala, my jack russell terrier would love this and she is such a beggar. I have seen a lot of treat jars lately and these are just too cute. I might just have to make a jar for all the people I know who have dogs. Let us know if you do and how they turn out! Our dog Snoopy a german shephard would love the homemade Dog Treat Jar. My dogs love treats. I love the homemade treat jars! They are so awesome! My Apollo would love this! He is SO food driven – I bet he would love this most of all. I would love to win, and my dog, Bailey, would love it too!! yes my molly would love to win some!!! Yes I have a German Shepherd named Rubie. Thank you for the chance! This is AMAZING! I have two beautiful babies that would love these treats.they have blessed our lives,this would be perfect.thanks so much for sharing. I have 5 dogs that love treats! I also have friends that are pet owners. This would make a cute gift. I love this! I have two shih tzu ‘s and a Jack Russell that would appreciate these cute doggie jars. My sweetie pie is Rex. He loves treats and counts each one!! He’s a German Shepherd/Lab mix. He would love this prize!! He’s also a rescue!! This is so sweet my two girls Daisy & Lilly would get so excited to have a special jar like this for their treats. I do make homemade treats from time to time they both just love the treats when I do. Thanks for the chance. I have three dogs who would appreciate one of your beautiful jars! filled with treats! I have a Golden Retriever named Brambles, a German Shepherd named Kada, and a Chihuahau Terrier mix named Burton. My Rocky sure does love his treats-I’m sure he would love these! My pampered pooch would love to upgrade her treat jar to this awesome one. my little ( Min-Pin ) YoYo .After my Husband passed away he became my best little Buddy. My Flatcoat Retriever Bradford says “Woof Woof”! That means he wants to win! Honey is my Chihuahua and she loves her treats, She has two siblings, Salem and Pumpkin, Cats she loves to play with. and she is almost 4 years old. My special puppies names are Sushi, LuLu, and Scruffy! They are so precious and make my world & life a better place. I can’t imagine life without them. Yes, my German Shepherd and Lab would love to have one! Kado loves treats and he would think it’s cool to have his very own jar. LaMancha would love a homemade treat jar. What a great gift idea for my friends and family with dogs. My dog loves treats of all kinds! And I am all over the nice jars for the dog treats! We have a couple, and they are invaluable! Yes! Coco would love this treat jar full of treats! She loves treats but what dog really doesn’t! LOL! She is a 10 year old American Cocker Spaniel. She is a very happy dog. Her wigglebutt is always going! She is the best! We have two dogs who would love their own treat jar. Bear is one of those awesome “designer” dog breeds of a Pitador who drools at the mere mention of food. Lawdy, I’m talking St. Bernard like drool! For a dog that is always on the go he’s quick to get to the “sit” position if he knows there’s a treat involved. Then there’s the regal Beagle, Oswald. He just stares with his big beautiful eyes until you fall into a trance and give him food. These jars are so cute! My pups would love to eat their treats from one of them! Princess would love to have her own treat jar of course it would be bigger than she is! I have three dogs who would love this fun treat jar! A chocolate lab and a puggle who adore treats and know where they come from! A foster dog who hasn’t had a great life and is learning that there are great things to eat here. This would be so cute sitting at the shelter, full of good treats that potential adopters could dip into as they are becoming acquainted with the dogs! Wonderful idea, thanks! Yes, there is a dog in my life who would love the DIY Dog Treat Jar named Cody. He is a 4 year old spoiled rotten Jack Russell Terrier/ Basenji mix that we adopted as part of our family. 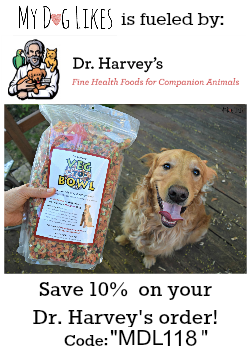 We all love him tremendously and would love to give him this treat! I have two precious pooches, Bella and Rosie, who both love treats! These jars are adorable, thanks for the giveaway! I have two pugs, Vinnie and Rosie. who would just love a treat jar. Yes my dog Marley, he would love these treats. I have two dogs that would love this, Molly and Ellie. 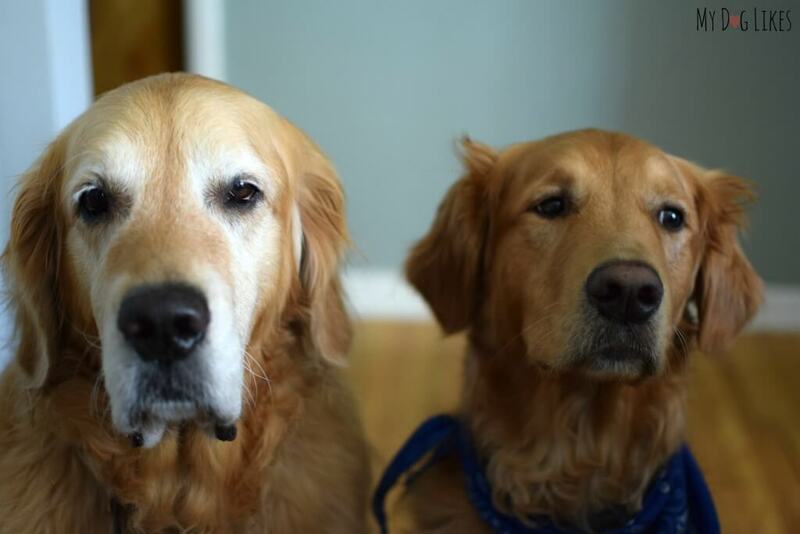 My sister has a golden and would LOVE these treat jars! Dexter is my baby boy Cocker Spaniel and pride and joy. He has to be fashion paw-ward and have this treat jar with noms from NB! We love the jar. I am loving your treat jars! Where would I be able to purchase the dog figurines?